2ND Amendment Beanie Black | BUDK.com - Knives & Swords At The Lowest Prices! 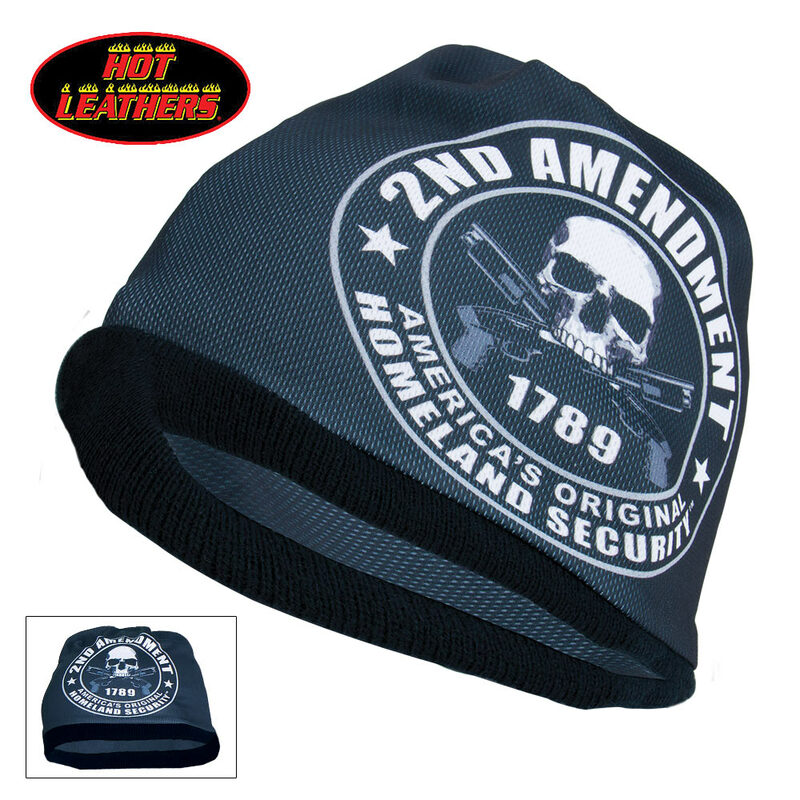 The 2nd Amendment Beanie by Hot Leathers is a really great looking hat the will let folks know exactly what you believe! 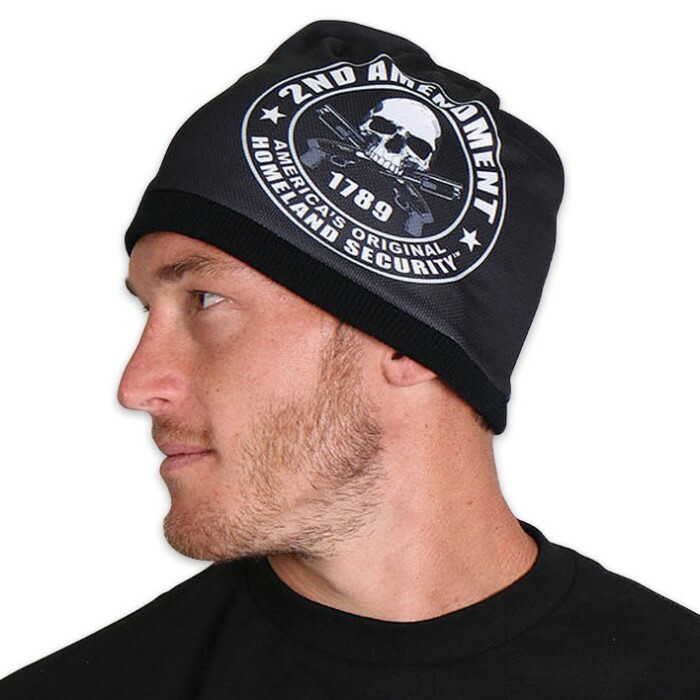 It is made of soft cotton that has a snug fit to stay on while you’re riding and a bright, sublimated design. One size fits all.